One of the great things about the running shoe market right now is that there is a huge diversity of footwear options available. From minimal to maximal, and everything in between, there is most likely something out there that will meet your personal preferences/needs. As a more minimally oriented runner, I’ve held off for a long time on trying out a Hoka running shoe. However, I feel it is important to keep an open mind, and I have readers who span the spectrum of footwear preferences. 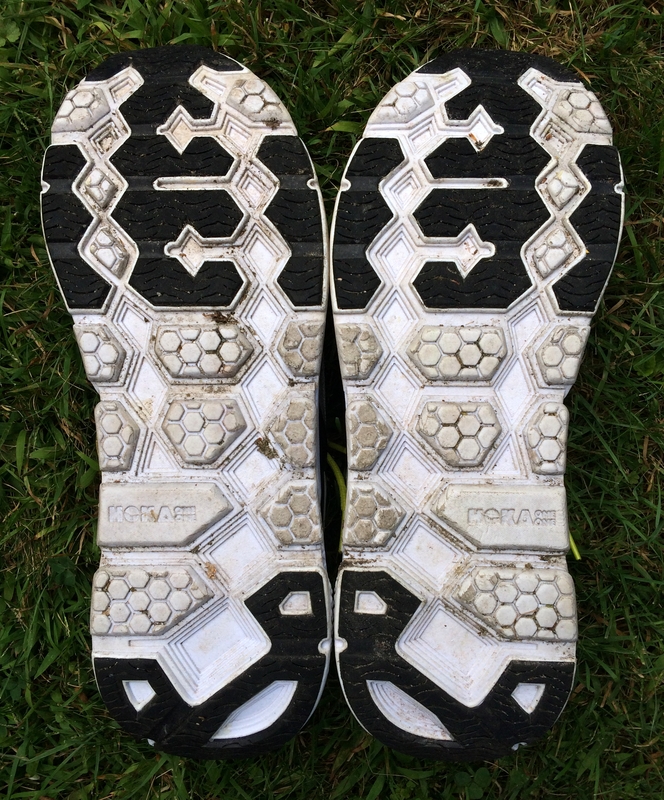 As such, when offered the chance to try out the Hoka Clifton, I decided to give them a go (Disclosure: the shoes reviewed here were media samples provided free of charge by Hoka). The experience of running in them has actually been quite interesting, and has caused me to do a lot of thinking. 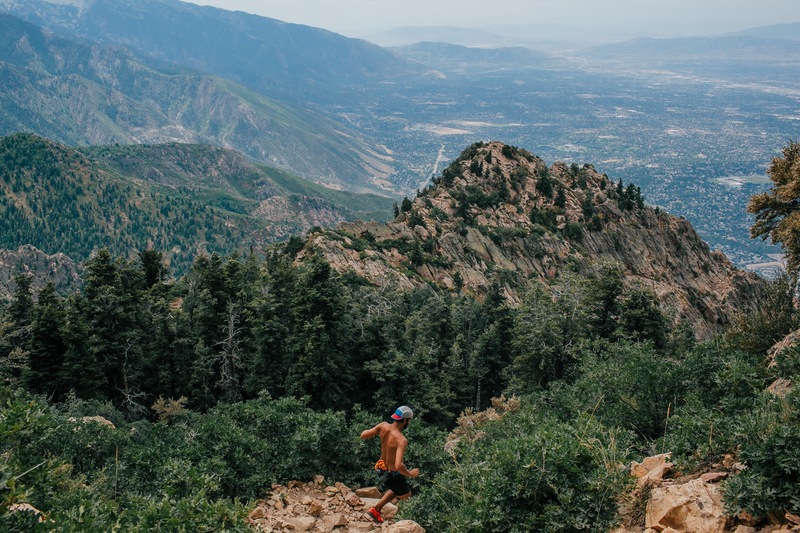 Last week I wrote a post sharing 5 observations about running in the Cliftons that spurred quite a bit of discussion in the comments. The experience among commenters seemed to be quite mixed. Many love the shoes, others seemed to feel that they had to work harder when running in them. I want to emphasize this because although I fall into the latter group, there’s a lot to like about this shoe, and if you prefer a soft, cushy ride, they would be a great option to try. It’s important to remember that my reviews only reflect my personal experience with a shoe, and not how they might work for you. I’ll do my best to describe the shoes so that you can make a decision for yourself. 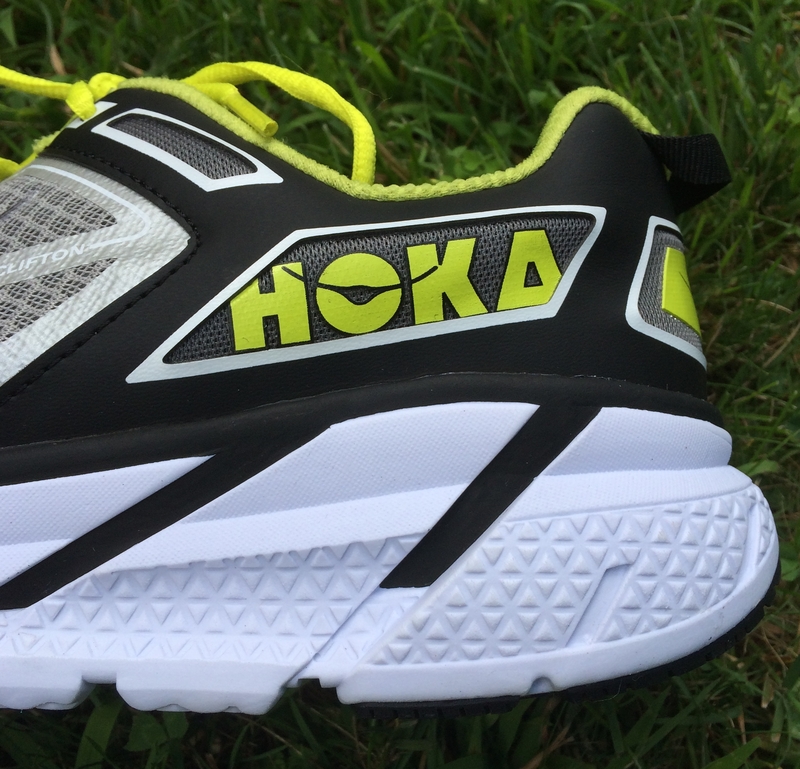 The Hoka Clifton is currently the lightest shoe in the Hoka lineup at 7.8oz in men’s size 9 (per Running Warehouse). It has a stack height of 29mm heel, 23mm forefoot, and the CMEVA midsole is quite soft, particularly under the midfoot and heel. Along with the Skechers GoRun Ultra, the Clifton is probably one of the softest shoes I have run in. I’m going to start by talking about the ride, since this is where most of my personal problems with the Clifton arose. My first run in the Clifton was a seven miler, and my immediate reaction was that I felt I was working much harder than I should have been. Over the next several runs this feeling persisted, particularly when running on a uniform surface (road/sidewalk). For some reason they actually felt better to me on trails, not sure why, maybe the greater variability of the surface underfoot. But on almost every run on the road I finished feeling like I was expending more energy than necessary. I’m puzzled by this as I don’t think the total stack height is my issue – I enjoyed running in the Nike Pegasus 31 which has a fairly similar stack (29mm heel, 19mm forefoot), and last night I went for a first run in the Brooks Ghost 7 (28mm heel, 17mm forefoot) and they felt really good. My suspicion is that the softness of the Clifton sole combined with the stack height is my issue. The combo doesn’t seem to be a good match for my stride, and I’d bet that this has to do with concepts like muscle tuning and leg stiffness adaptations (this probably goes beyond the scope of this review, but if interested you can read more about muscle tuning and leg stiffness here). I want to again emphasize that this is my experience, and that I know a lot of other people who love running in this shoe and don’t feel the same way. It really seems to be a highly individual response as might be expected for any shoe given to a range of people who vary in anatomy, running form, physiology, etc. So don’t let this turn you off from trying the Clifton if you are intrigued by it – it might just be a great ride on your feet. One of the interesting things about the Clifton ride is that because of the rockered sole, I felt like it encouraged me to get more up on my midfoot than other shoes do. 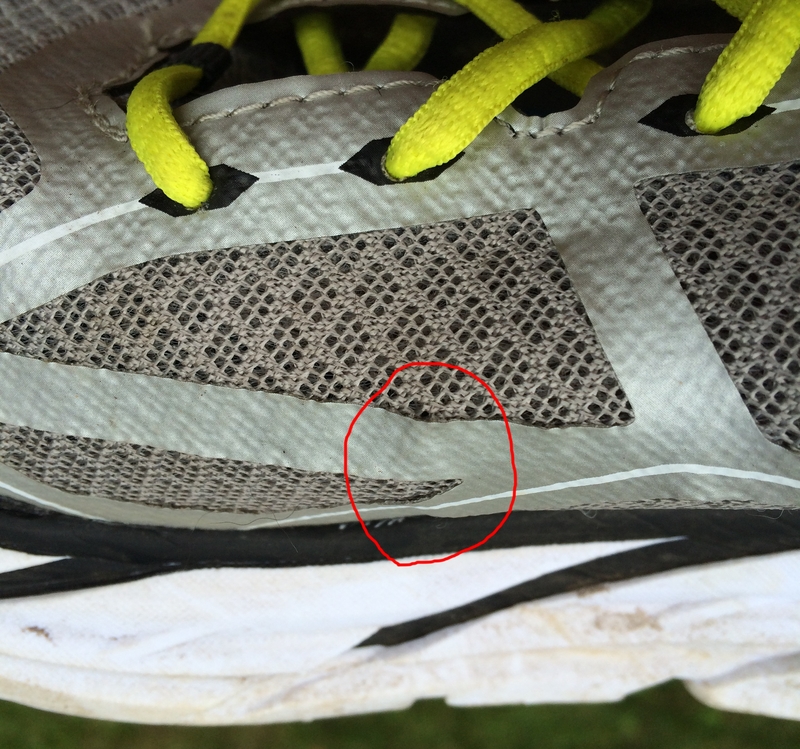 In fact, if you look at the wear pattern (see photo below) you will see almost no abrasion on the heel, and quite a bit on the exposed EVA near the midfoot. And when I pick up the pace this effect seems even more pronounced – the ride felt more responsive as I pushed faster than my easy pace. In terms of outsole coverage, there is rubber under the high-wear areas of the heel and forefoot, but none under the midfoot. As mentioned above, I’m seeing most of my wear on the exposed EVA midsole foam along the outer margin of the sole near the midfoot. I’ve tried on a number of Hoka shoes in the past, and the fit for most never felt quite right on me. The Clifton, on the other hand, fits my foot almost perfectly. I did go a half size up, but this may not have been necessary as I have just a bit more than a thumb’s width between the tip of my big toe and the front of the shoe. I find the forefoot to be spacious enough to allow my toes freedom of movement (up and down and side to side), and the midfoot fits snugly. I have heard some complaints about the heel lock-down in the Clifton, but this has not been an issue for me. I have a fairly high-volume foot so that may have something to do with it, and snugging the laces up top seems to keep my heel locked just fine. The insole is quite thin, and I’m wondering if those with heel lock issues might benefit from swapping in a thicker insole. Overall, I’ve found the Clifton to be a very comfortable shoe, nothing negative to say in this area. The Clifton has a minimally constructed upper composed of a breathable mesh with welded overlays from midfoot forward. The area around the heel is padded and more structured. The tongue is extremely thin, and on some occasions it tends to fold under while sliding the shoe on, requiring me to use my finger to flatten it back out. Not a big deal though. One concern I have about the upper is that some of the welded overlays on the inner side of the forefoot seem to be separating from the underlying mesh slightly. Anyone else noticed this? Probably won’t effect function much, I suspect it’s mostly a cosmetic defect. Despite my comments about the Cliftons making me feel like I have to work harder, I’ve actually enjoyed running in the shoes. I enjoy the challenge of trying to figure out why a shoe is not a good match for me, particularly when so many others have had a positive experience with it. The Clifton fits me great, is very comfortable, and is super light for a shoe with this much cushion. But for my stride it’s just a bit too soft (as a side note, I have gotten in one run in the Hoka Huaka and the RMAT midsole is more responsive and I think they’ll be a better match). That being said, if you are interested in trying a Hoka shoe, I’d encourage you to give the Clifton a shot. It’s on the lower end of the Hoka price range ($130 MSRP), and it has the Hoka cush that a lot of people love in an extremely lightweight package. I’m glad I gave them a try! The Hoka Clifton is available for purchase at Running Warehouse, Zappos, and at the Hoka website. In Europe they can be purchased from www.hokaoneone.eu. 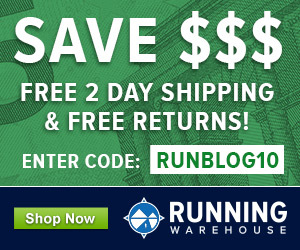 Purchases made via these links provide a small comissions to Runblogger and help to support the production of reviews like this one – thanks! I concur! Great review. I put a Superfeet Carbon insole in mine which firmed things up. Yesterday I ran 15 at a moderate yet slow pace with no issues at all. Found them soft soft yet held my pace and today zero soreness. As I posted on my blog when I get them to speed they feel fantastic, especially forefoot toe off. When I go slow or get back on my heels maybe overly comfy. For many though this is one great shoe: cushion yet incredibly low weight, great upper. Yes, Huaka is a different beast! A faster shoe maybe at all paces. 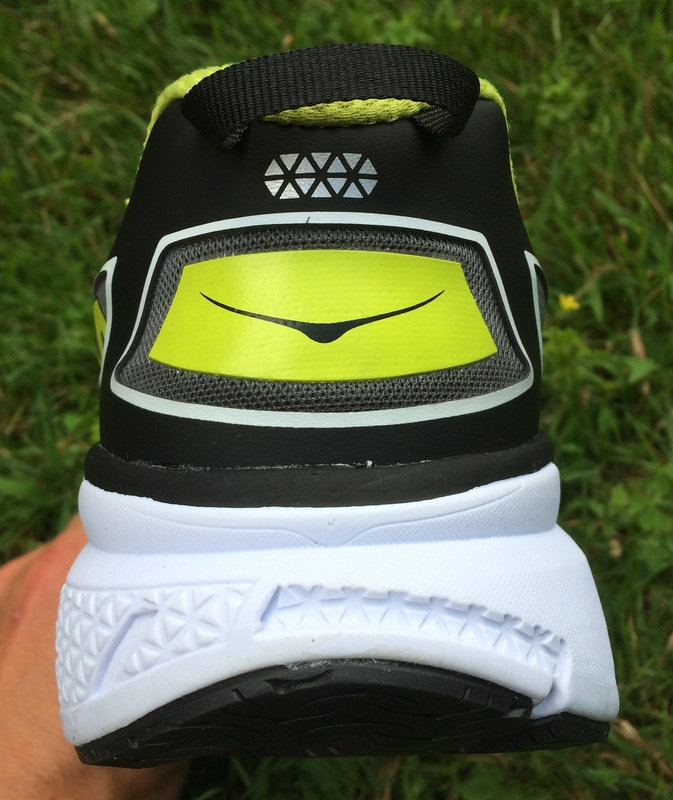 On my Cliftons, the welded overlay is separating in the same spot as yours on both shoes. The amount of separation looks the same as yours. For now I’ll just keep an eye on it to make sure it doesn’t start spreading. Aside from that issue, after about 65 miles the upper seems more durable than I initially thought. I get the same bunching with the tongue when I tie them, but I’m able to spread it out and it doesn’t bunch up or move after that. The thin black material at the end of the tongue does bleed onto socks; not a big deal, but something I assume they’ll fix in the next iteration. I’ve read some people received an extra pair of insoles in their box when they bought them, but I did not. I’m not sure how I would have liked the Cliftons 20+ years ago when I was a lot faster (I suspect I might have, but not as a race shoe), but at this point they really have made running fun for me and are the favorite shoe in my rotation. I want to try the Huakas, but calf issues are a constant battle for me and the 2mm drop scares me. I had seen that about the 2 insoles, but mine came with only one set as well. My pair of Huakas came with two. Glad the Clifton’s are working well for you! Pete, sometimes I feel like it would be a good idea in shoe reviews for you to remind your readers of your height/weight and the speeds and/or cadence you are running. What you bring to a shoe is going to affect the ride a lot. I’m bigger than you. At 6-3 and 180, I’d always wanted to do more daily training runs in a shoe like the Kinvara as I loved the simplicity and lightness of it, but there just wasn’t enough cushion underfoot — every stride on pavement ended with the thump of a bottom-out. And I’m no slouch: Slight heel striker, cadence well over 90, sub-20 5Ks. The Clifton is my Kinvara: There’s a little more cushion there. I don’t feel like I’m working harder. It feels just right, and fast. I will continue to use the Hoka Bondi for recovery runs and the Stinson for up-and-down trail runs and snow days, but the Clifton is the kind of everyday trainer I’ve been looking for. I’m looking forward to trying the Huaka too. As for Clifton durability, jury is out for me: We’ll see if they hold up and are worth the price. Yes, I think there are a lot of factors that probably come into play regarding which shoes work for which people. I’m 5’10” and right now around 165, but my guess is stride characteristics play a big role in how a shoe feels as well. I suspect that one of the things that a soft shoe can do is increase limb stiffness/reduce knee flexion at midstance. I tend to already have a fairly stiff limb so it may be that there is some interaction going on there that does not work for me too well. All speculation, but interesting to think about. P.S. Another shoe I’m pretty crazy about right now is the Adidas Energy Boost 2. I’m thinking about the Boston Boost or Adios Boost now but would love to see a lower drop Boost shoe. You are right, though: There are lots of choices these days. I was wondering how these compare to the Altra Paradigm? Does anyone have experience running in both of these? Thanks! He also has his own review of the Cliftons on his site. Nice review. I’ve run in 3 pairs of Hokas now, the Bondi B 2, Bondi B 3 and Rapa Nui 2. The rockered sole is what I love about all three pairs. The running feels effortless to me and the cushioning I think keeps my legs fresher/less sore longer during the run and the following day. I was running in Salomon Sense Mantras and Newton Sir Issacs and I won’t be going back to a traditional shoe for the time being. This is why I think it feels like more work. Heel slippage has been a factor for me and I don’t think I’ve ever experienced that before. It was weird. I don’t know why they didn’t add that second high lace hole that exists on their other shoes. Adjusting after a few miles and retightening seems to work, but I’d rather not have to do that. I’ve run in the Cliftons and Bondi 2s and think the Cliftons suit me better, but they could use some improvements. Bondi 2s were great but a bit clunky. Skipped the Bondi 3s given their reputation. Hi Pete, I ran a marathon in these a couple of weeks ago in 3:03 knocking 6 minutes off my PB. Only problem I have is that the softness causes excessive pronation of my right foot which has been a bit sore since (I have this problem with most soft neutral shoes). I did feel like I was working hard over the last 10kms but that might be because I pushed too hard at the start and almost blew up! I really enjoy running in these but I’m thinking the Huaka may be more suitable over a marathon as they’re firmer and may be more stable. thanks for the review peter! i’ve not run in Hokas before, but the Clifton is certainly giving me reason to consider trying them out. 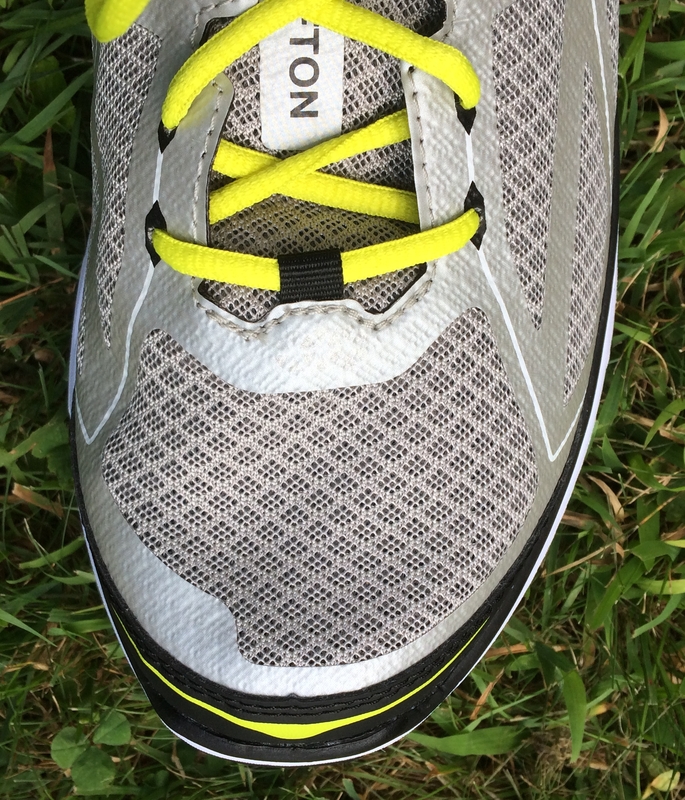 i’d be curious (since nate was the one to provide the review on Runblogger) what your own personal take is on the GORun Ultra as compared to the Clifton. did you also feel that the GRUs not fit your stride due to the softness factor? and how about in terms of promotion of mid-to-forefoot strike? I’d view them as fairly similar shoes, and I had similar issues with the ride in both. Just a bit too soft. If you like the GRU, then the Cliftons may be worth a try. Good review. I remember telling you about my experiences of running in the Hokas three years ago and that I was very impressed with this shoe. This was in the summer of 2011 when the Hoka was still relatively unknown to most runners and when minimalist shoes were more popular. Hokas are continuing to find increased support here with the distance runners here in Northern California and the number of runners wanting minimalist shoes seems to be decreasing over the past year. It is interesting how shoe trends ebb and flow over the years. I wonder what the next running shoe trend will be? Any predictions? My take on your sensation that the Hokas “make you work harder” is like you said, that it probably is related to your central nervous system not yet having optimized your leg stiffness to the very different rebound qualities of the “trampoline-like” cushioning of the Hokas. I doubt that once you are more accustomed to the “feel” of the Hokas that you will be “fighting” the shoe so much and that you will find the extra cushioning no harder to run in than in any other shoe. I believe that I had read a report years ago that the runners on Tom McMahon’s Harvard “tuned” indoor track (where runners often ran a few seconds faster per mile than on other indoor tracks) had to have some adaptation time to learn how to run more efficiently on this more compliant surface. It’s believe that much of running efficiency comes down to how well our central nervous system optimizes our “leg springs” to the stiffness of the running surface. Hopefully future research will shed more light on this subject for all of us. My bet is that after a few weeks of running in the Hokas on surfaces of various stiffnesses, that you will no longer feel like you are working “so hard”. 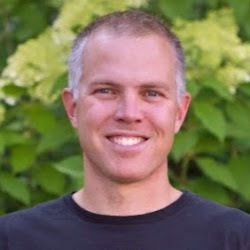 Keep up your good work, Pete, with your informational and very valuable running blog! I find the same thing with the Clifton’s. Given the really great reviews I expected to love this shoe. I tried and didn’t like the Conquest (too narrow and long – my toes went numb at 8 miles) and the Bondi 3 which I absolutely adore. The Bondi 3 is a bit sloppy but right now I’m trying to recover from a metatarsal bone bruise so the non flexible cushioned shoes are really helping. I’m 5’1″ and about 130lbs. I actually have a foot that’s kind of wide – not enough to need wide’s all the time but enough to make a good amount of shoes uncomfy. The Clifton seemed to fit, though I had some splay over the sides it was minimal. I did 6 miles of hill reps this week in it and my metatarsal area was sore and I felt lower leg exhausted. Very strange feeling – reminded me of some of the older heavier shoes I have that are just a lot of shoe. Weird because Clifton is so light. My foot was sliding around a bit in the shoe which probably did not help. I have very high arches, a high volume foot, high instep (e.g. Have never been able to wear pull on boots in my life) and a rigid gait. Very stiff. Cadence is 88-90. I’m a slow runner and I think that might be part of it. Light heel striker but in the right shoes I become a pretty solid mid foot striker. This shoe just felt off when running the hills – it was better just doing LSD on fairly flat ground but I still felt tired. Contrasted to Bondi 3 when I feel like I can go forever even though that shoe is heavy. I really like the feel of my Cliftons, but I too found myself developing a blister (on my middle toe) that didn’t begin to go away until I switched shoes. I also got a black and blue big toe nail on the same foot. 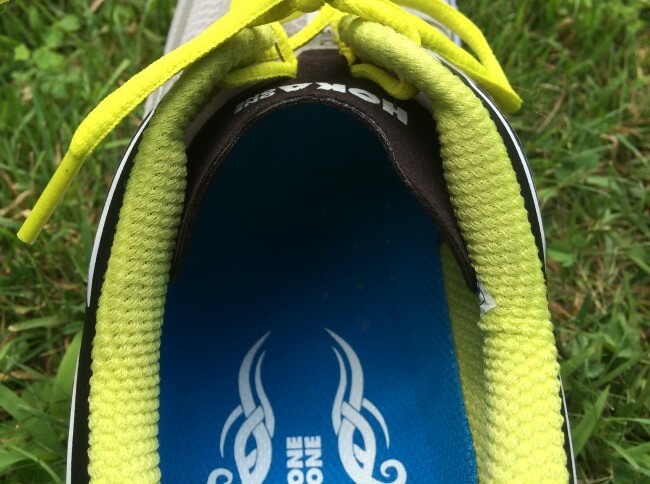 My Cliftons were my usual size and I had the right amount of toe space, but overall the shoe felt loose on my foot compared to the Brooks I was accustomed to wearing, in part because of the odd tongue, which the author mentions in his post. I have a moderately wide foot, so this is odd to me. I also found it difficult to get the lacing to feel good. For now, I’m back to Brooks Ravennas, which have always been good shoes for me. Great review. I have been following your reviews for quite a while now and it’s always a joy to read them. I have the pleasure of working at Running Central in Peoria, IL. and we just hosted Stephanie from Hoka about two weeks ago. I also received a pair of Cliftons to try. I already put nearly 600 miles on the Conquest (a bit stiffer). I highly recommend trying out the new Stinson Lite. It is a more traditional shoe that they began to offer. You will see most of Hoka’s athletes like Kyle Merber, etc. wearing the new stinson lite for nearly all their regular running. I am a senior runner at Bradley University and use the Stinson Lite as a recovery shoe. My go to shoe is the Adios Boost and the old Boston (boy am I excited to strap a pair of Boston Boost on). Anyways the Stinson Lite gives you a much more traditional feel, but in an area that is less fortunate on soft surface running still gives you that soft surface that we look for as runners. Keep up the great reviews! If you are ever in Peoria come check out the new store! History: prefer minimalist footwear but have wicked bunions, overpronate and prone to metatarsal stress fractures. Used to love Saucony Kinvara, Mirage and Virrata and Nike Frees but they just don’t work for me anymore. Need wider toebox and more cushioning sadly. Have 1,000 miles on some Bondis and they’re still doing great, but i wanted a lighter shoe that also had cushioning and wide toebox. Got a pair of Cliftons and Altra Paradigms. The Paradigms are going back. No contest. The Cliftons fit better (and i have a narrow heel) and i felt i could run 10 miles in them right out of the box. Barely got through a mile in the Paradigms. I’ve been wearing the Cliftons for just over a week, but just for easy miles – except for four 800m’s at only 5K pace. Wore Adzeroes for a couple of 5K’s Did 8 miles in the Clifton’s yesterday evening (including 2 of those 800’s) at an overall slowish pace. Felt fine during and at home afterward. This morning, one heel at the end feels like the symptoms of Plantar Faciitis! Hurts each step when walking. But with weight on forefoot, pain goes away. Anyone else have this experience? Have you guys received an early version of the Challenger ATR to try out? Since REI is planning to carry them for the holidays, it would be great to get initial thoughts on if its truly Clifton+ More traction and start those holiday shopping lists. Your initial comments about how great the Clintons felt on the trails has me very hopeful that it’s going to be a good shoe. Thanks! Just received a pair ordered online. Just walking around with them in the house, I feel a very strong “bump” under the arches, such as arch support as in “support shoes”. This usually spells a nightmare in me for longer runs (I like a shoe that’s flat under the foot, that doesn’t pressure the foot or pushes it in another direction). So I’m kind of worried, and wonder if I should send them back before running in them. Anybody else had this experience? I’ve now gotten up to 150 miles in my Cliftons. The uppers are holding up well, although I’ve noticed the same issue with the overlays that you have. My bigger concern is with the midsole foam degrading. Pictures and other miscellaneous thoughts here. You compared the Cliftons to the Skechers GoRuns. I’m keen on trying Hokas and the Clifton seemed to fit my foot fairly well plus I’ve read a lot of people say it’s awesome if you have had problems with sore knees and plantar fasciitis. However, I have run in GoRuns before and they caused problems with hip bursitis and I’m not keen to repeat that. 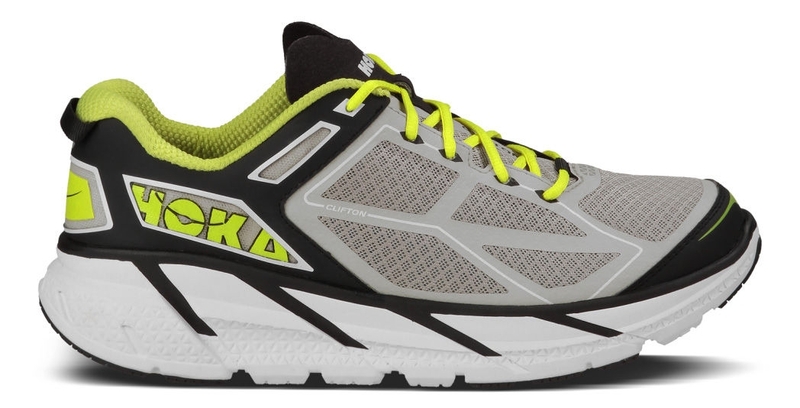 I would have thought the Hoka would be a different kind of shoe (despite feeling soft and comfy) as they have a lot more cushioning than the GoRuns? What do you think?